A small gem near Whitefield road, this place is a small punjani dhaba in South. 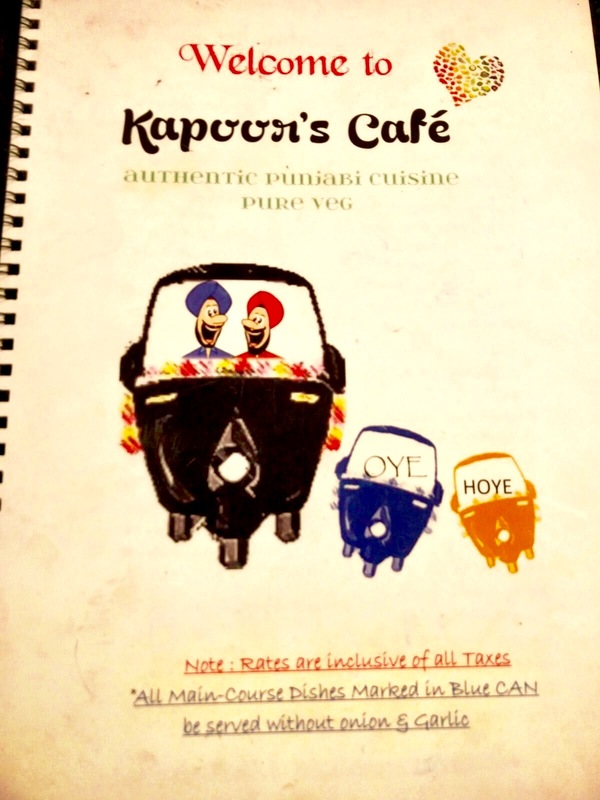 They serve yummy parathas, pakoras, rajma-rice, chole-bhature, spicy kadhai paneer and lassi to name a few. I have passed near the Thubarahalli bus stop umpteen times but somehow never noticed this small food joint. 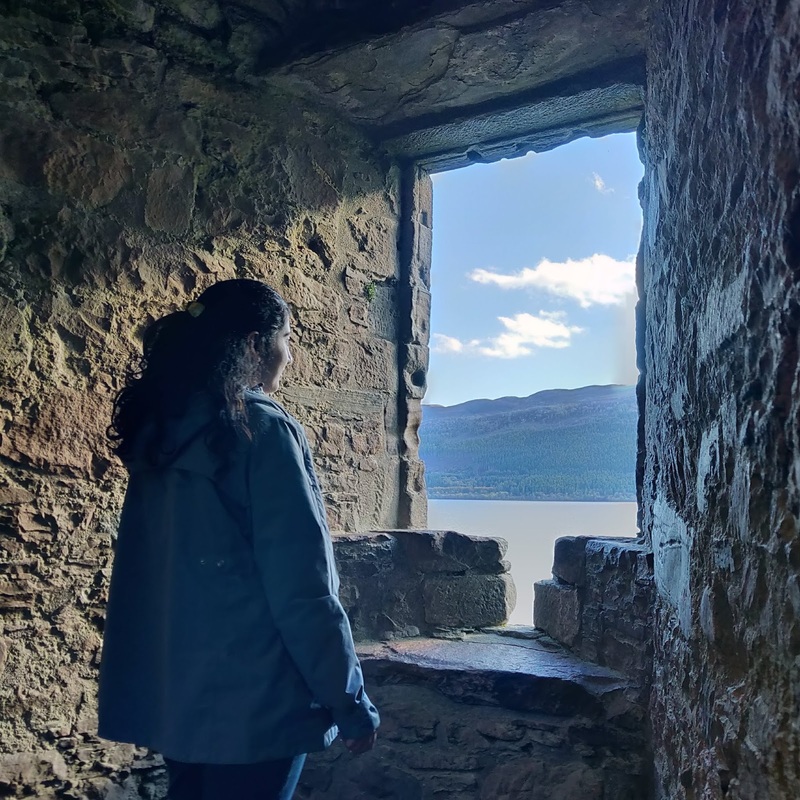 Based on my friend's recommendation I decided to try it, and I literally had to use Google maps to reach this place. 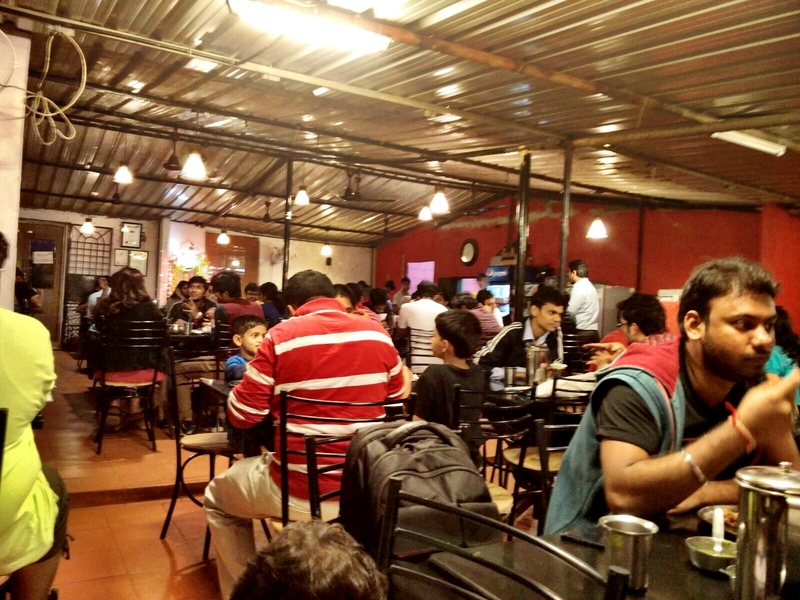 A small dhaba kind of outlet inside the Gurukul campus. There is sufficient parking space available there and it is hell crowded on weekends. I went there on a Sunday evening, and my waiting number was #12. Mix Paratha - This has some panner, cheese, tomato, chillis and methi, dhaniya.... Very very delicious.. fingerlicking good..
Lightening fast and very good service. They will also customize the paratha for you if you need no chillis/less spicy/more spicy etc. Not expensive at all.. A paratha would range from Rs.50-100/- starting from Aaloo paratha, gobi paratha, mix paratha and Panneer paratha. The size is quite big and very filling. Overall, love this place for its fast service, tasty north-indian food and lots of butter. Thanks for nice info. We would try it. OMG! 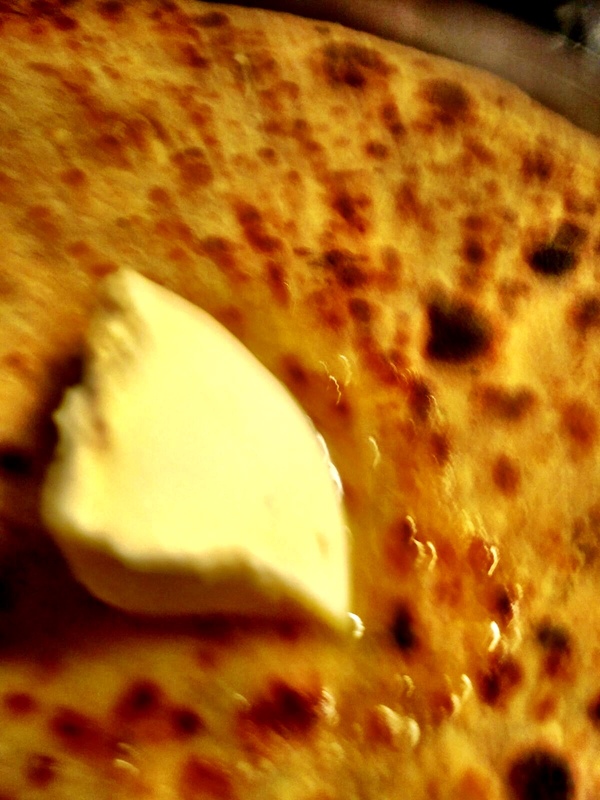 That paratha with that flowy butter looks so tempting. Looks really yummy and tempting! And the ambiance is out-of-the-box too. Sounds like a good place! 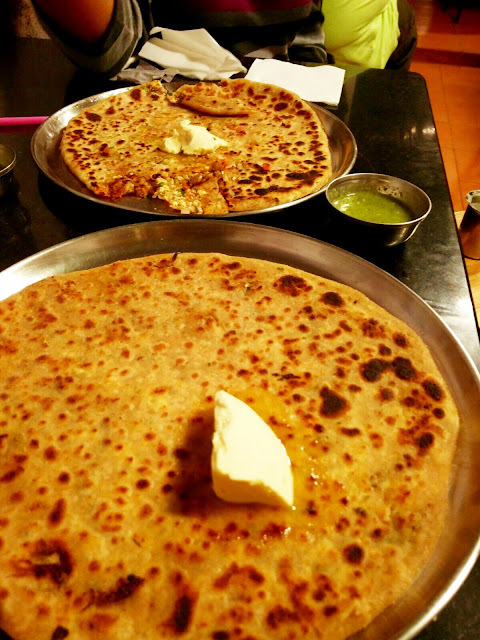 Those Parathas look drool worthy! I've been to this Dhaba in fact, near Kundalhalli Gate. Love the food there.